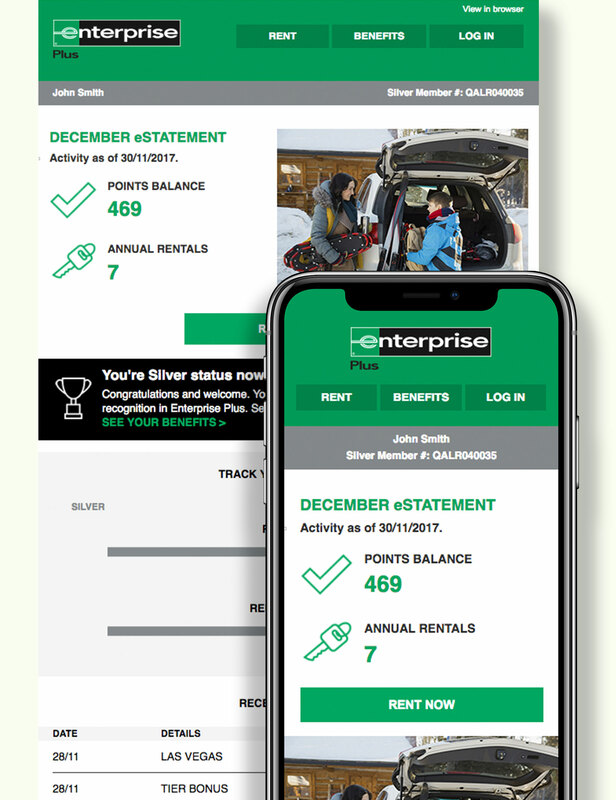 Since 1993, we've partnered with the brands of Enterprise Holdings, to drive revenue and engagement with the Emerald Club®, Enterprise Plus® and Alamo Insiders loyalty programs. 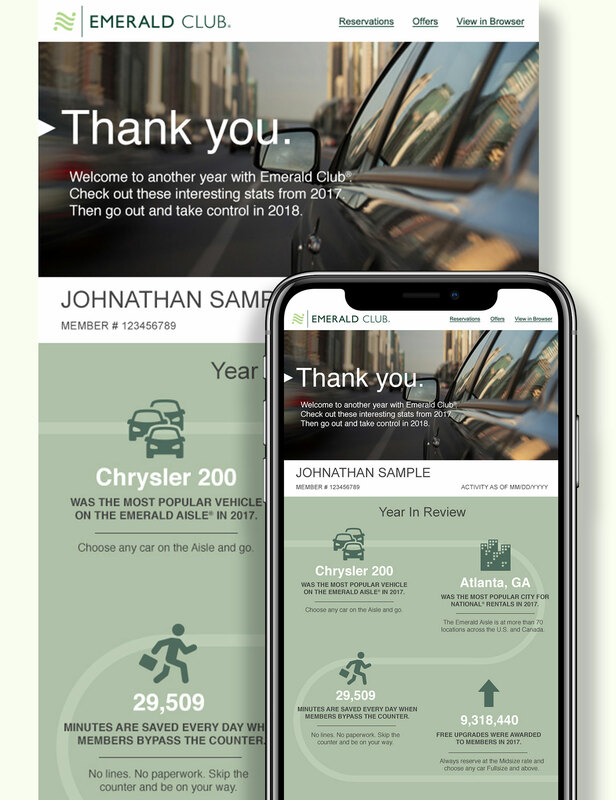 Fueling our success is an unrelenting focus on more efficient and compelling ways to connect with our audiences through highly dynamic, data-driven content. 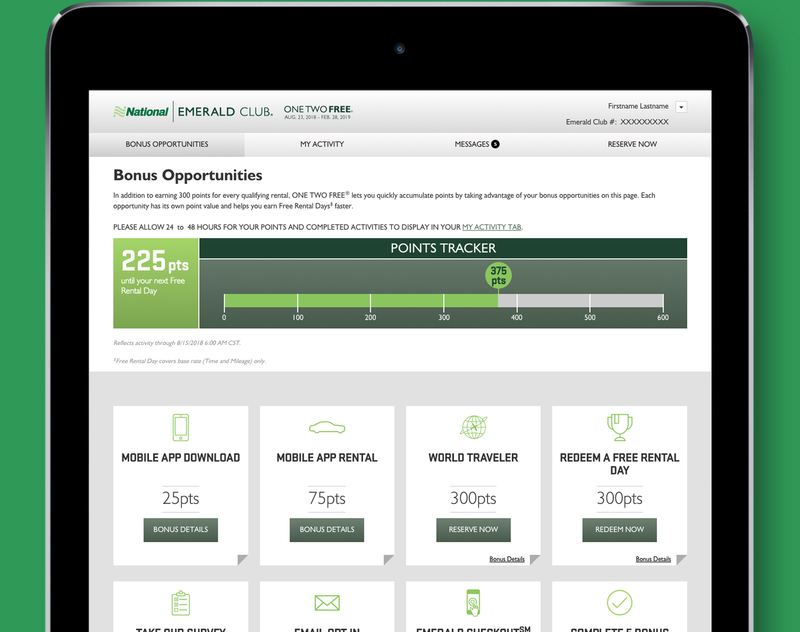 Every fall, the ONE TWO FREE promotion gives Emerald Club members the opportunity to earn a Free Rental Day with every two rentals. 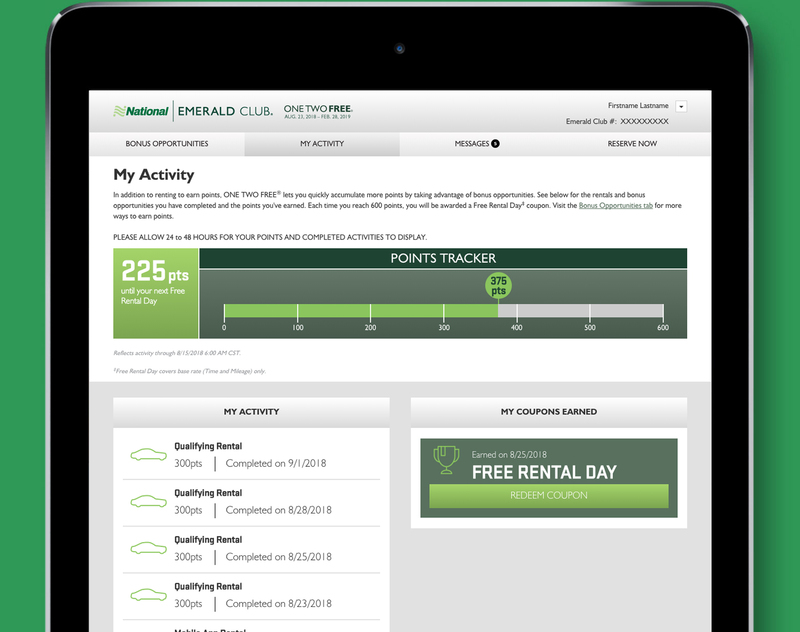 And, with badges targeted to their unique rental behaviors, members earn bonus points while increasing and deepening their engagement in the program. 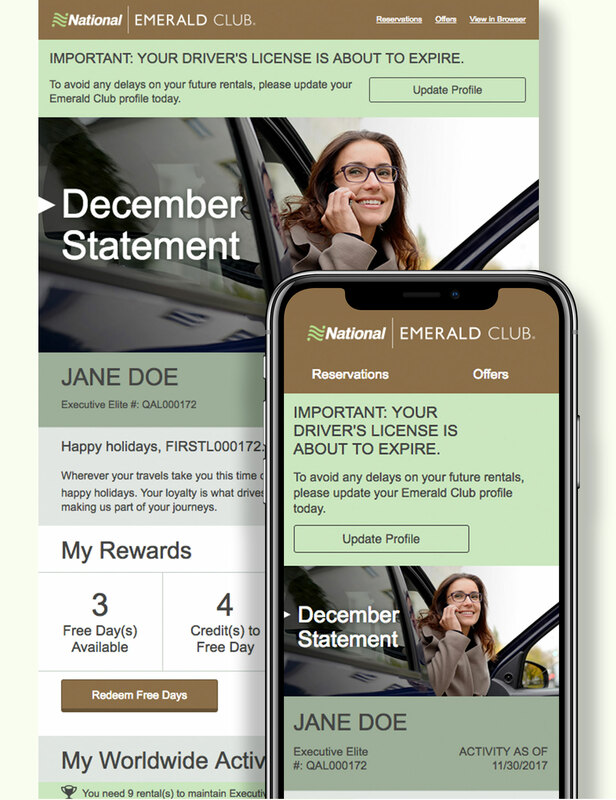 In our latest refinement of the hard-working monthly eStatement, we left no pixel unturned in delivering clean, modern and mobile-first designs that provide pertinent and personalized rental information and tier progress for Emerald Club and Enterprise Plus members. Weekly specials. 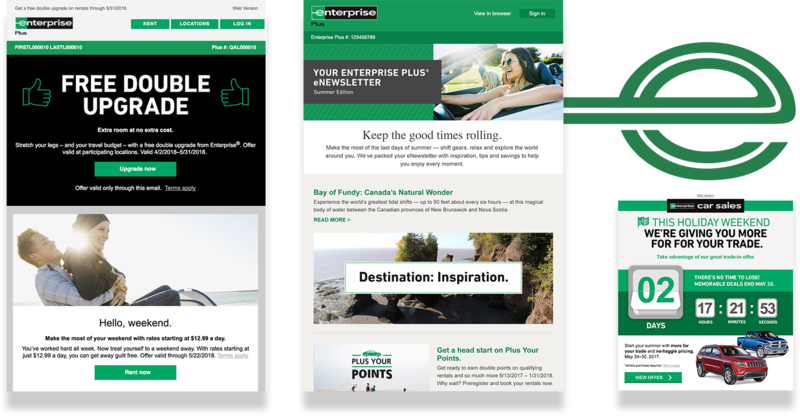 Biannual newsletters. 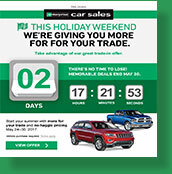 Reservation confirmations. 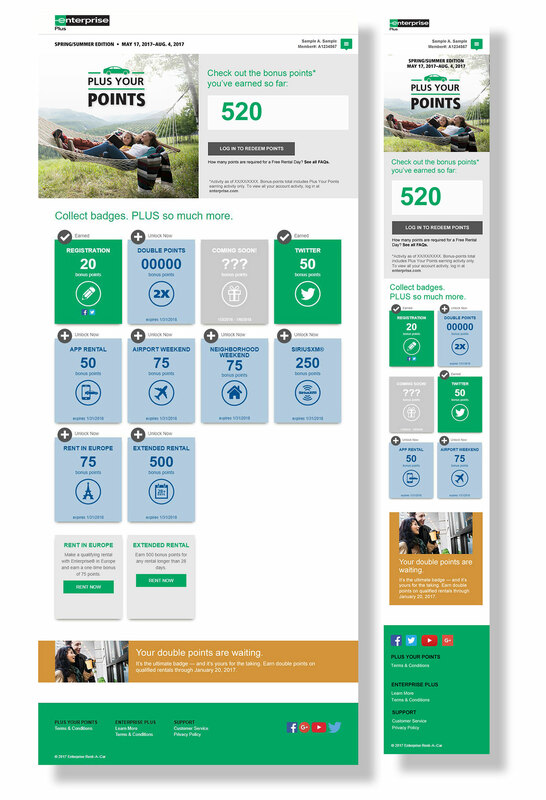 Arrival alerts. 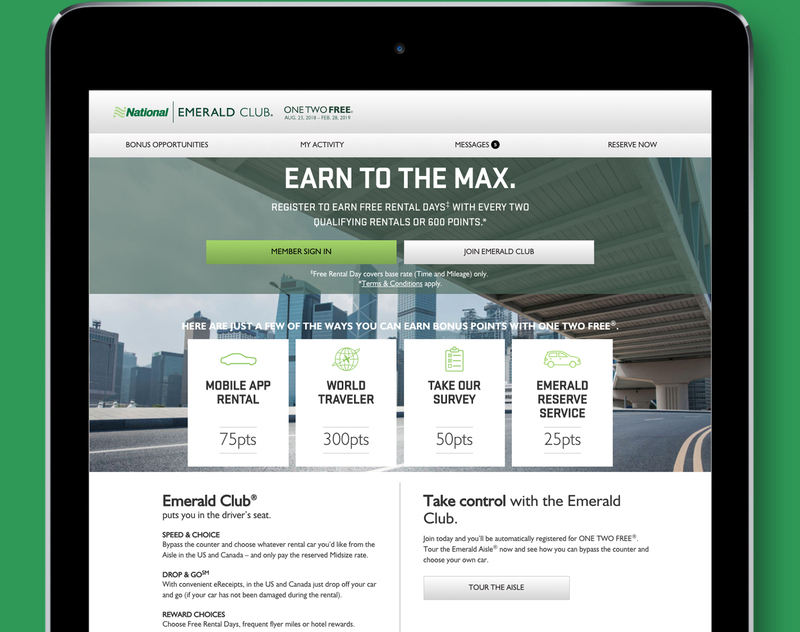 Every year, National® and Enterprise® subscribers open millions of email communications, in 23 languages. 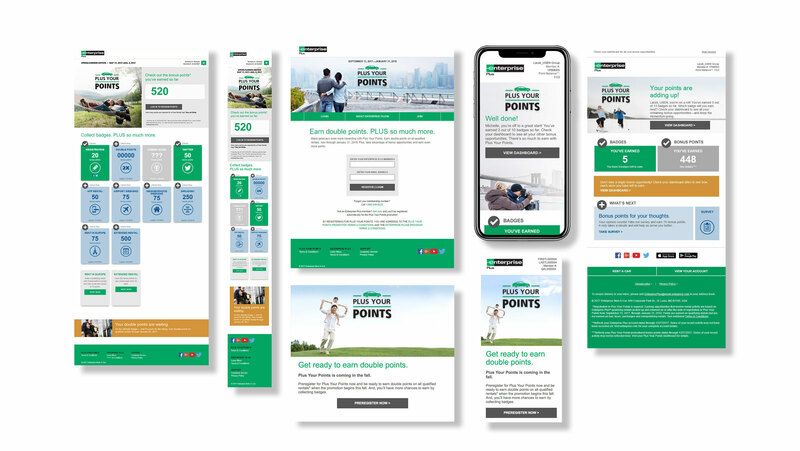 The Plus Your Points promotion gives Enterprise Plus members the opportunity to earn double points on rentals and bonus points for increasing engagement through targeted behaviors such as member referrals, email opt-ins, social engagement, international rentals and cross-brand trials.